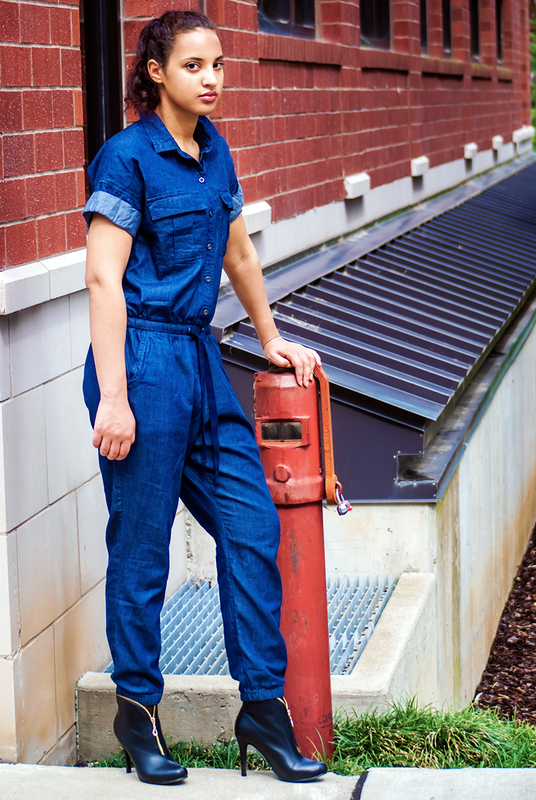 I’ve mentioned in the past (on my other jumpsuit look) that jumpsuits are great because of the efficiency they provide. Yeah, they’re not for everyone; but I have to say this particular one is very comfortable. In hindsight, I don’t like these shoes that I’ve paired with this outfit. But, hey, even supposed fashionistas make mistakes. The reason the shoe doesn’t work with this outfit is because it cuts the body off. The color of the jumpsuit elongates my average-height frame, but the shoes stop the flow of the eye, making me look short. Also, while a bootie style shoe should work with this outfit, the particular shape of this shoe doesn’t quite work (if you want to see another outfit where this shoe looks great, see my A Walk in Savannah look). One other note: According to Google Fashion, jumpsuits, rompers, and two-piece outfits are popular in both the U.S. and the U.K. It’s a trend that will last at least another season. 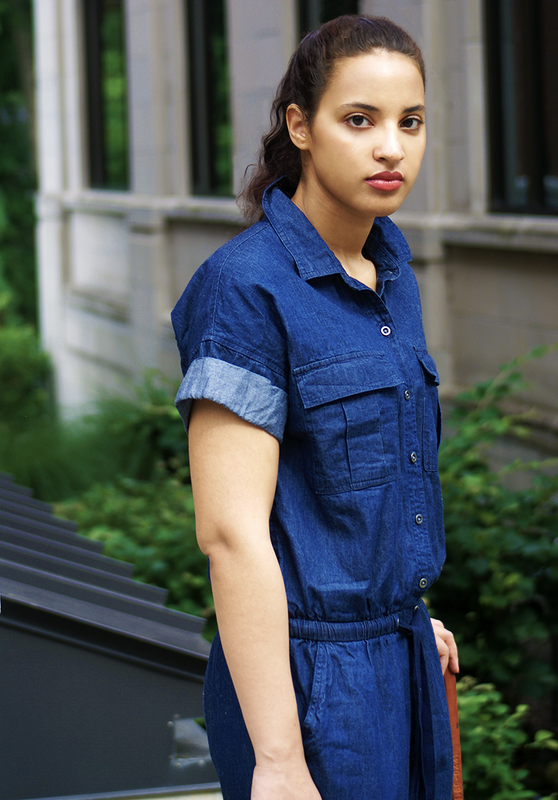 Jumpsuit Blues. Photo Credit: Mechelle Avey, Always Uttori. Copyright 2016. All Rights Reserved. 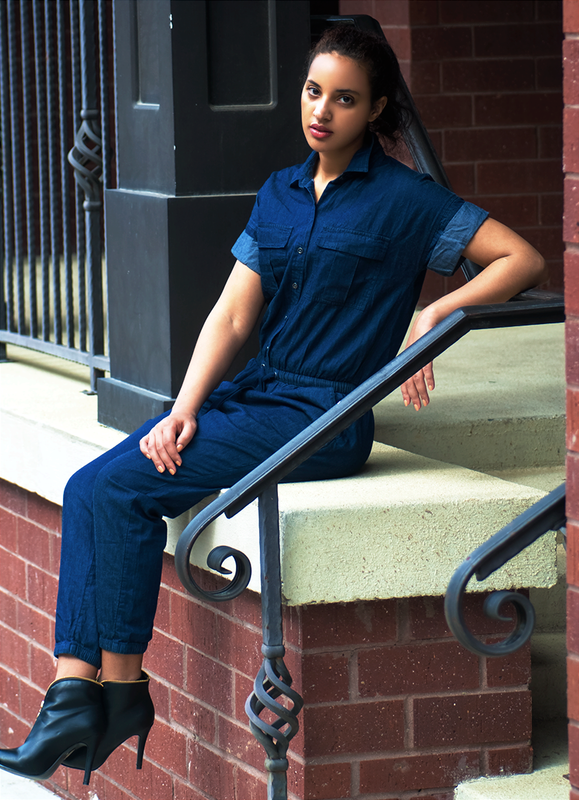 Jumpsuit Blues: Photo Credit: Mechelle Avey. Alwaysuttori.com. Copyright 2016. All Rights Reserved. Jumpsuit Blues. Photo Credit: Mechelle Avey. Alwaysuttori.com. Copyright 2016. All Rights Reserved.